Deployment of a second US air carrier in the Mediterranean has been called to deter a Russian task force deployed in the region, a US official told the Wall Street Journal. “It provides some needed presence in the Med to check…the Russians,” a military official in Washington told the WSJ. “The unpredictability of what we did with Truman kind of makes them think twice,” he said, noting that the new deployment demonstrates that the US Navy can be agile and adaptive. “There are undoubtedly folks who are watching that and this is just a graphic representation of what we’re capable of,” Batchelder said. “The USS Dwight D. Eisenhower Carrier Strike Group (IKE CSG) entered the US 6th Fleet area of operations today in support of US national security interests in Europe,” the US European Command (EUCOM) has announced. 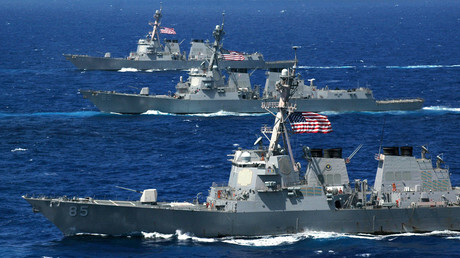 The Eisenhower’s strike group also includes its air wing, guided-missile cruisers San Jacinto and Monterey and a destroyer squadron with associated guided-missile destroyers Roosevelt, Mason, Nitze and Stout. 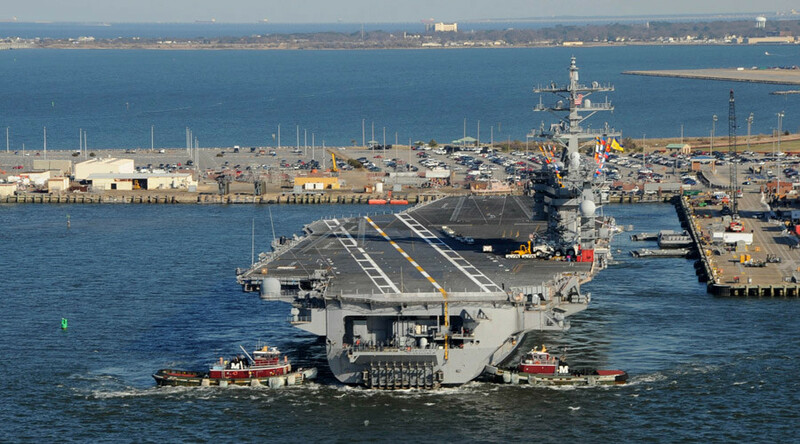 The carrier USS Dwight D. Eisenhower is to take the place of the USS Harry S. Truman that will head back to the United States, finishing its eight-month mission, Navy officials on board the Truman said, according to Reuters. In June, however, both carriers will be stationed in the Mediterranean simultaneously. Washington claims that the increased military presence is aimed at fighting Islamic State (IS, formerly ISIS/ISIL) and balancing Russian extensive military efforts. On Monday, the US strike group with the Harry S. Truman carrier along with the guided missile cruiser USS Anzio and the destroyer USS Gonzalez, launched 68 combat sorties and delivered 52 precision guided munitions against IS targets in Iraq and Syria from the Mediterranean Sea. More than 1,500 smart bombs and pamphlets have been dropped since December when Truman carrier arrived. The changeover comes at the time largest military drills in Eastern Europe, dubbed Anaconda, are taking place. 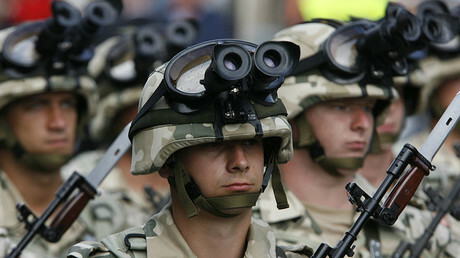 NATO military drills began in Poland on June 6. The largest exercise since the end of the Cold War involves 31,000 servicemen from 24 nations. Both occurrences are likely to further strain already chilly relations between Russia and the US. Meanwhile, NATO is justifying its military buildup by pointing at Russia’s alleged aggression. However the idea has been long refuted by Moscow saying that it is NATO that is steady crawling towards Russia’s borders. The crisis in Russian-NATO relations began long before the so-called “Russian aggression” in Ukraine, which hasn’t been recognized by any international organization. “The crisis began when NATO tried to expand its influence in the countries neighboring with Russia. First, in Georgia and then in Ukraine,” said Pushkov. The second cause of the crisis is that the US is trying to erect missile defense shield in Europe which goes counter Russian national security interests. Russia’s 2016 security strategy named NATO’s expansion towards its borders as one of the main threats. The US and NATO keep on developing the missile defense system in Europe, citing a potential missile threat from Iran as a reason. Moscow repeatedly said that the US standard missile launch systems located in the vicinity of the Russian borders can be easily converted into offensive weapon and pose a threat to Russia. However, the US has consistently turned a deaf ear to Moscow’s concerns. Its latest missile defense base in Romania entered operation in May. Poland is set to take after its neighbor and acquire a similar base within two years.